Concerned about gum disease? You’re not alone. A 2012 study by the Centers for Disease Control (CDC) estimates that nearly half of adults in the United States have some form of periodontal disease, ranging from mild to severe. And because periodontal disease can cause significant problems if left untreated, prevention and early detection are key. Periodontal disease is a chronic infection of the gums that affects not only the gum tissue but also the teeth and bone. The root cause of periodontal disease is untreated bacteria that forms plaque on the teeth. If not removed, these bacteria get below the gum line and can cause an infection. According to the National Institute of Dental and Craniofacial Research (NIDCR), periodontal disease often starts with gingivitis, a mild and easily treatable form of gum disease. If left untreated, though, it can progress into periodontitis, a more severe infection that causes the gums to pull away from the teeth. What are Risk Factors for Periodontal Disease? Gum inflammation is one of the earliest symptoms of periodontal disease, and simple awareness can help patients catch the condition early. Good old-fashioned dental hygiene is the best way to prevent periodontal disease. 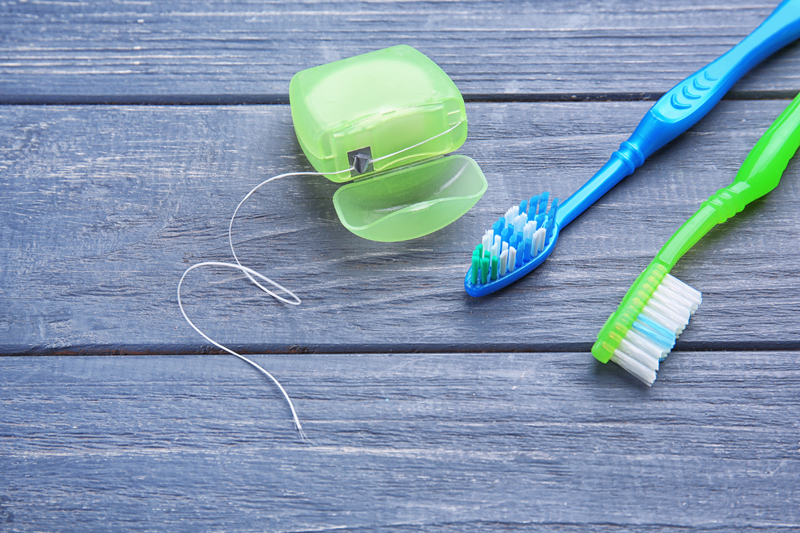 Regular brushing and flossing are essential. Flossing, in particular, is an excellent way to keep bacteria away from your gums. Routine cleanings twice a year at your dentist’s office are also important for getting rid of plaque and the bacteria it contains. At the first sign of gingivitis, it’s crucial to see your dentist. If your gums are inflamed, make an appointment right away. Early treatment will save you time, pain, and money in the long run. What are the Treatments for Reversing Periodontal Disease? Treatment for periodontal disease varies based on the severity of the case. For less severe cases, a deep cleaning involving scaling (i.e., scraping to remove tartar from below the gum line) and root planing (i.e., getting rid of rough spots on the roots that are breeding grounds for bacteria) is a good option. For more severe cases, a surgical procedure may be needed – especially in cases where periodontal disease has damaged underlying bone. One common procedure is flap surgery. It involves lifting the gums to clean the teeth. Bone grafting involves replacing damaged bone with synthetic material, encouraging new bone to regrow around it. Guided tissue regeneration involves inserting a piece of mesh between the bone and gum to prevent gums from moving into the space created by bone damage, allowing healthy bone to regrow. Dental implants are an option for patients whose roots have been damaged by periodontal disease. An implant is simply a prosthetic tooth attached to an artificial root, which is connected to the jawbone for a natural-looking tooth. Dental implants work best when the gums are healthy, so any underlying periodontal disease must be treated before implants can be introduced. What Happens When Periodontal Disease Goes Untreated? Tooth loss is the most common outcome of untreated periodontal disease. However, the NIDCR points out that there are studies that establish a potential link between periodontal disease and other medical conditions, like heart disease and low birth weight in babies whose mothers have gum disease. Oral infections, including periodontal disease, need to be taken seriously. Prevention is always best, and keeping your teeth and gums healthy through good oral hygiene and routine check-ups is vital. Sometimes, prevention isn’t enough; other factors can lead to periodontal disease. Treatments for the disease are very effective, though, and are more common than you think. Patients should see their dentist at the earliest signs of periodontal disease, no matter how insignificant the symptoms may seem. It may end up having a big impact on your overall health.